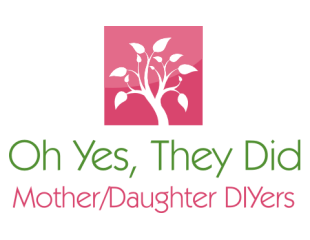 Happy Father’s Day from Sandie & Kim from Oh Yes They Did! Wishing all Fathers a Wonder Father’s Day Today! We are having a BBQ and Salads themed dinner for Chris for Father’s Day. Steaks, hot dogs, Caesar salad, Crock Pot German Potato Salad and more. We will post pictures and recipes after the weekend! This is what I made for Chris as a little Father’s day gift. One of those Sharpie Marker Mugs. I bought Sharpie Oil Based Paint Markers from Amazon for these mugs. I read that was the best one for durability and colour. I wrote on the mug what I wanted it to say, let it dry and then baked it at 250 degrees for 2 hours, letting it cool completely in the oven. And after those few steps, and a bit of wait/cooking/setting time, I had this! A cute mug for Father’s Day. You can write whatever you want on them, draw a picture, whatever… personalize it to make it for your father, husband or whomever else for a one of a kind gift! This entry was posted in Crafts, Father's Day, gifts, Our Posts, painting. Bookmark the permalink. I love these! Wonderfully creative! Thanks. i I wanted it to be recipient appropriate and that seemed to work!